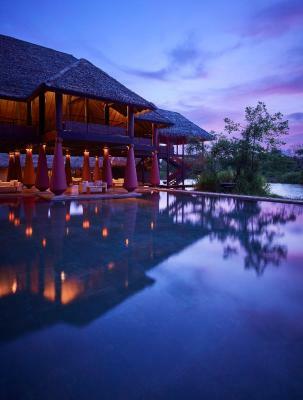 Lock in a great price for Jetwing Vil Uyana – rated 9.1 by recent guests! Property was gorgeous - unique wetland preserve and people/service was understated and pampering. Multi-course dinner was delicious. Loved our "water dwelling." 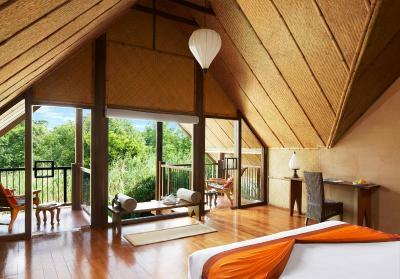 Amazing eco lodge. 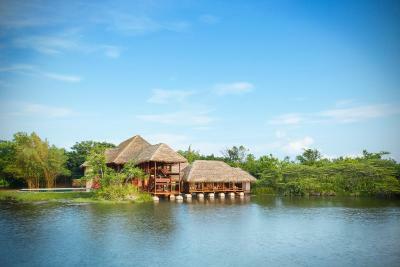 We stayed in a private bungalow on a lagoon. It was fabulous. Wish we had more nights there! Great location to day trip from as it’s close to lion rock, Danbulla caves, safari. Hotel can help with all excursions and offers some included. Food also great. The landscape. Very serene and peaceful. The library with the lake view. The spa rooms were beautiful. (Massage was average) Comfortable bed. 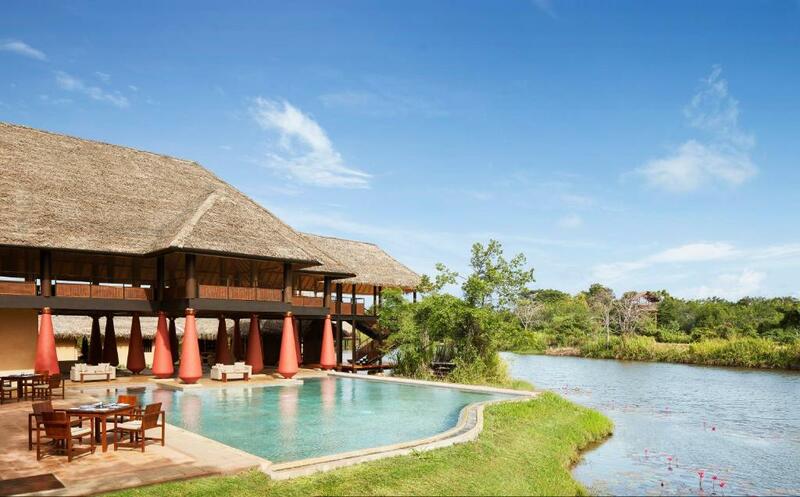 Well blended to nature, this resort is a highlight of my trip to Sri Lanka, you can spot all kinds of birds, mammals, reptiles. 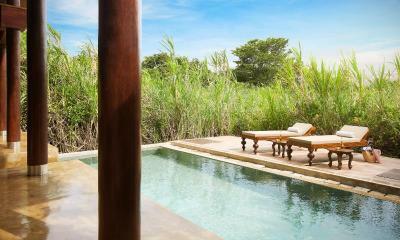 The villas are set in a splendid location, immersed in the natural surroundings. There is plenty of wildlife present. The villa we had was very spacious and had great private pool. The staff is very friendly. 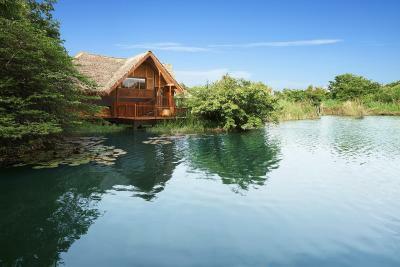 Amazing Honeymoon stay for 3 nights.. Eco-friendly and works in harmony with nature. Peaceful & tranquility. The restaurant was excellent and the staff were very accommodating. We would return again and recommend to family and friends. The room was spacious and comfortable with a great view. Throughout our stay, the service was impeccable and everyone was so friendly. The food was also delicious! Facilities were beautiful. Pool was gorgeous, rooms huge and spacious and extremely comfortable. Shower was great! Food in restaurant was reasonably priced and very good, alcohol very reasonable. Hotel provided us with a Happy Honeymoon cake on arrival. Wildlife everywhere, it was fab! 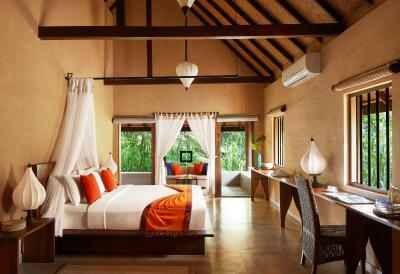 Jetwing Vil Uyana This rating is a reflection of how the property compares to the industry standard when it comes to price, facilities and services available. It's based on a self-evaluation by the property. Use this rating to help choose your stay! 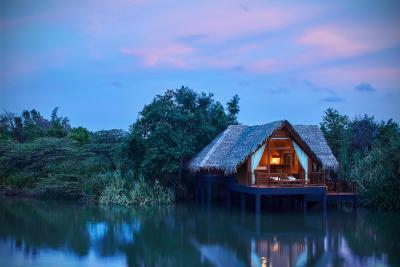 One of our top picks in Sigiriya.Located in Sri Lanka’s Cultural Triangle, Jetwing Vil Uyana features modern accommodations set amid a spectacular man-made wetland. Free WiFi is available and rooms feature cable TV with an entertainment system. 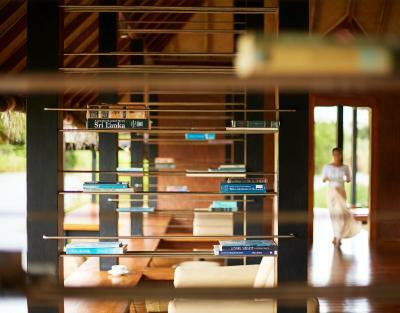 Residences at Vil Uyana feature teak flooring and a balcony, with both fan and air-conditioning provided. Video games, a DVD player and radio are available. 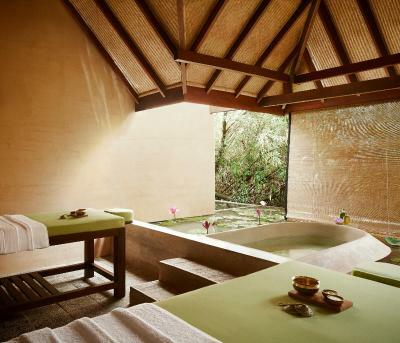 Guests can get a relaxing massage at the spa, or workout at the fitness center. 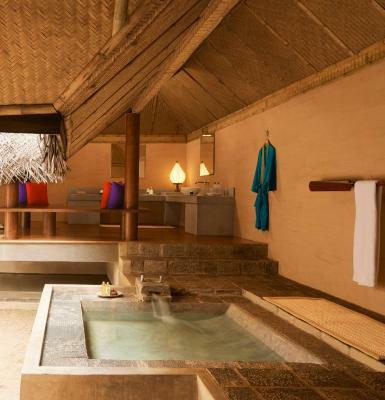 Jetwing Uyana also offers an indoor swimming pool. 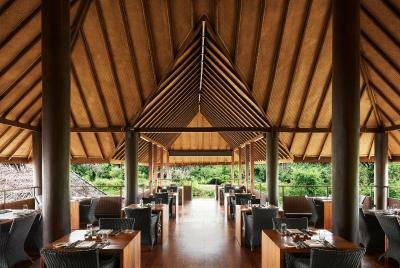 All day dining is available at The Apsara. 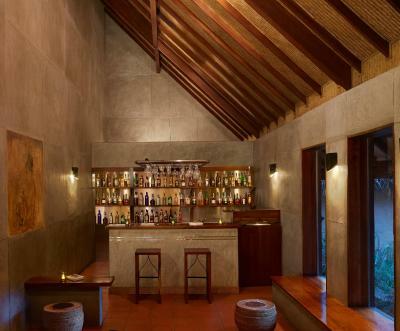 Light snacks are offered at The Sulang, while The Graffiti Bar serves drinks. 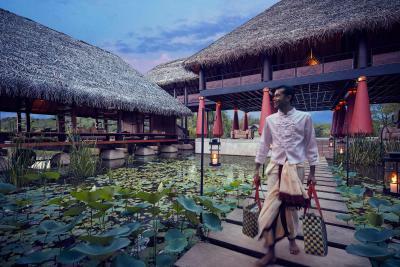 Sigiriya’s Jetwing Uyana is 95 mi from Bandaranaike International Airport. Sigiriya Rock Fortress is 3.1 mi away. 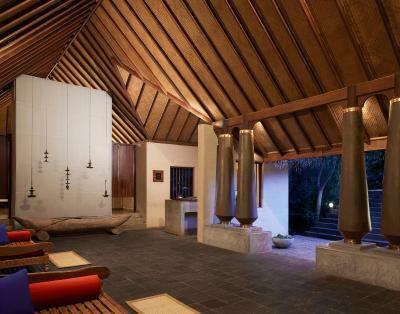 This property also has one of the top-rated locations in Sigiriya! Guests are happier about it compared to other properties in the area. 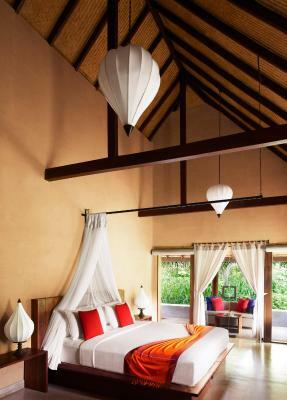 When would you like to stay at Jetwing Vil Uyana? 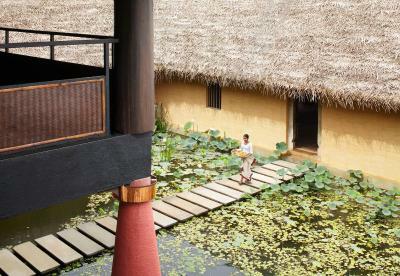 Stilt house built over paddy field features a private plunge pool. 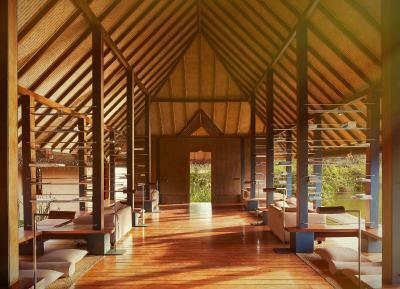 It includes teak floors and a balcony, with both fan and air-conditioning provided. Video games, a DVD player and radio are available. 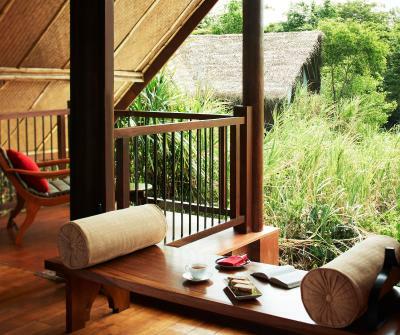 Air-conditioned stilt house built over the forest includes a private pool, teak floors and a balcony. Video games, a DVD player and radio are available. 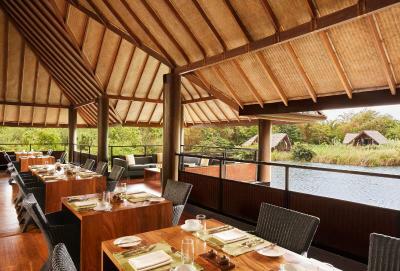 Overlooking the lake, this over-water bungalow features teak floors and a balcony, with both fan and air conditioning provided. Video games, a DVD player and radio are available. 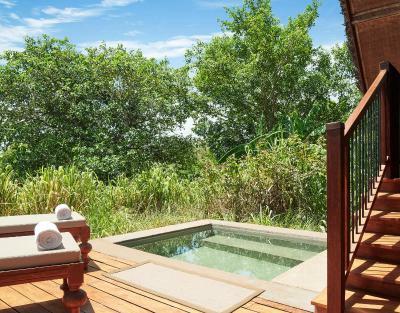 Built over the marsh lands, this air-conditioned bungalow features teak floors and a balcony. Video games, a DVD player and radio are available. Room comes with a cable TV, DVD player and safe. 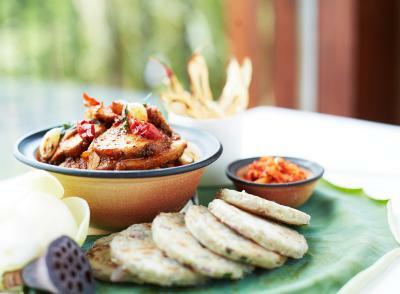 House Rules Jetwing Vil Uyana takes special requests – add in the next step! Jetwing Vil Uyana accepts these cards and reserves the right to temporarily hold an amount prior to arrival. It would have been nice to have had some options for evening entertainment. Reception staff seemed very confused about exchange rates and we were charged extra for seemingly no reason. This was eventually sorted to some extent after 3 visits to reception. Speed of service was appalling. Drinks arriving after starters, mains arriving before starters finished. Nowhere near 5* service which is a real shame in such a fantastic location. A very friendly staff and wonderful room with pool to which we were upgraded. A tropical paradise!! 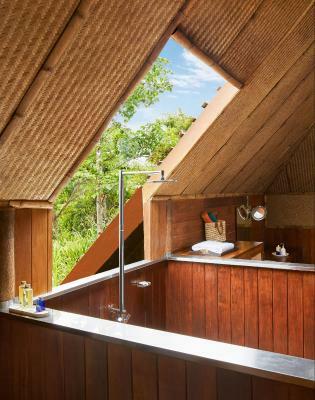 The layout of the forest dwelling is rather awkward as the bathroom is on a different floor frm the bedroom. There was also a stain at the bottom of the pool which needs to be looked at. Maybe the hotel need to rearrange some of the furniture and also the minibar facilities so that its more convenient for the guests. The road leading to the hotel was not tarred and has many potholes so maybe that can be improved. We got the forest dwelling which came with a full sized pool. Its beautiful and very private. The property has beautiful surroundings with birds and natural habitat. Food was delicious and breakfast was generous. They need a handrail on the steps in room they are difficult to use in poor light and can be slippery. My wife fell on them her treatment by staff was excellent but I think this is a problem they are aware of. Room was fantastic . Monkeys on balcony just amazing, whole place was a wonderful experience. The WiFi is pretty terrible and for the price you are paying you should be getting your own dedicated room set up. although the hotel is completely unique in term of an overall experience, it is very expensive and on reflection I’m not sure you really get value for money. Beautiful setting, excellent food, particularly the breakfast. Very accommodating and helpful staff. We asked to swap rooms and the hotel made every effort to make sure we were happy. 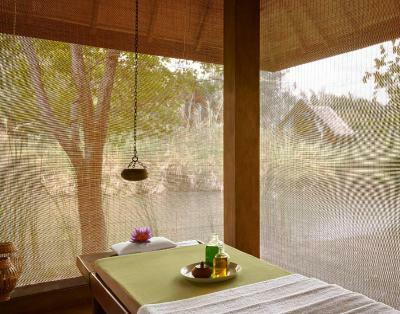 The individual cabins are very luxurious and comfortable. It was paradise the forest dwelling was amazing there were monkeys in the trees and monitor lizards on the garden! Peacocks in the grounds amazing. Food was excellent and the curries wonderful. A wonderful experience. Expensive but worth it for a unique splurge. This is an exceptional hotel. The accommodation is beautiful and the natural landscape stunning. 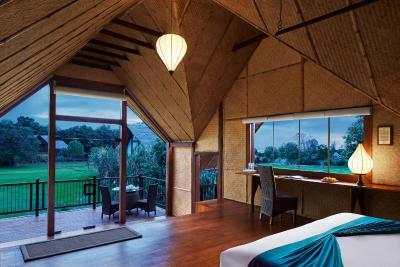 The hotel is also very into re-cycling and protecting the local environment and its people. The General Manager is charming and most hospitable. We hope to return one day. Not much food options. The staff were very friendly but didn’t seem very confident. The villa pool is super cold! There is no heater. 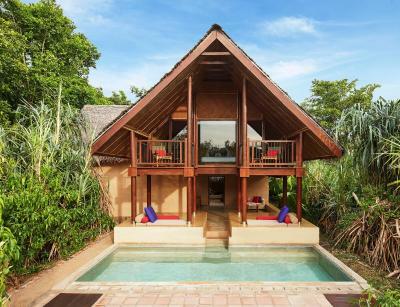 Don’t bother getting a pool villa, it’s a waste of money. Paddy field villa is darkish; wish there were more windows. The design excellent, indoor and outdoor. This is probably the best hotel I have ever stayed at - everything down to the last detail was fabulous. The setting was magnificent and the hotel achieved the heady combination of being luxurious yet making you feel completely at home. Even our villa guy, Sanjay, was fantastic - he showed initiative, lovely to chat to as well as doing a great job. Thank you to all the staff.